According to the Gregorian calendar, New Year's Day falls on January 1 and this is one of the most popular celebrations in India. Almost everyone in the country celebrate this day in great pomp and splendor. All over India, people get together and throw huge parties on New Year's Day. New year celebrations in India are full of color and filled with fun activities like singing, playing games, dancing, and parties. Youngsters hold New Year Day’s party in night clubs, resorts and restaurants. Invitations are very important when you are planning a party. When you use an online invitation tool like Yoovite.Com, you can get everything done in a jiffy. Just select your template, enter your details, import your contacts and send your card to several people at once. This way, you will not miss inviting anyone important to the party. Decorations for the party are also very important. It is best to be creative when it comes to decorations. It is not sensible to spend a lot of money on this. In the big cities, there are also places where you can rent these decorations. 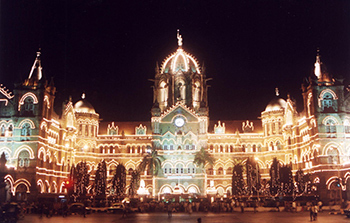 You must also plan entertainment for your New Year party in India. In the metros like Mumbai, Delhi, Bangalore and Kochi, most new year parties will have live concerts with special guests and lots of guests are invited to attend these kind of parties. No New Year Party would be complete without choosing gifts for your friends and family. You can choose all kinds of gifts to welcome the New Year. Calendars, Flowers Chocolates, jewelry and Photo frames are some of the gifts for New Year celebrations. Don't forget food for the party. You can prepare several dishes like Roast chicken, Salads, Mutton Kolhapuri, Puris, Butter Chicken, Fried Rice, Chilli Chicken and roast turkey. 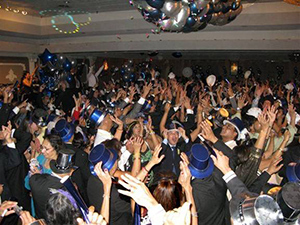 It is best to arrange an event planner to organize your new year party in India.There are so many preparations to be done and you will be exhausted in time for the party. Hire an event planner and use a free online invitation tool like Yoovite.Com to get all your work done easily so that you can enjoy your party well.